Researchers at McGill, the Montreal Neurological Institute and Hospital (The Neuro), and the MUHC, are working to develop a much needed tool for helping diagnose concussions or mild traumatic brain injuries suffered by thousands of young Canadians – hockey and football players among them. 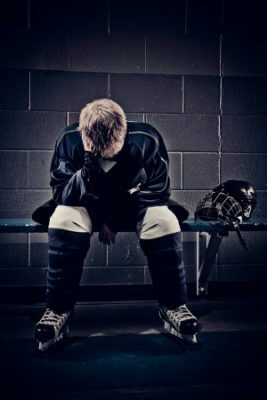 Post-concussion symptoms can include physical ailments, emotional disturbances and sleep disruption. Researchers at McGill, the Montreal Neurological Institute and Hospital (The Neuro), and the MUHC, are working to develop a much needed tool for helping diagnose concussions or mild traumatic brain injuries suffered by thousands of young Canadians – hockey and football players among them. Post-concussion symptoms can include physical ailments, emotional disturbances and sleep disruption. Objective methods for predicting how severely mild brain trauma can affect a young person’s brain are sorely needed. The potential for harmful effects is especially real in the case of children and youths – with the higher threat of repeated injury and cumulative effects of concussions (and links to other serious neurological illnesses) – accurate diagnosis and proper follow-up is essential. In recent years it has become evident that spatial memory (positions of objects in space) and route learning (spatial memory navigation) may be impaired in adults with concussion. Until now however, there have been no studies examining spatial navigational memory in children with concussion. Fifty adolescents – 15 subjects with concussion and 35 controls – participated in the study. In addition to standard neuropsychological testing given to concussion victims, a navigational memory test was administered in which the adolescents had to orient themselves in a virtual reality neighbourhood. During this test, the subjects were scanned with functional magnetic resonance imaging (fMRI) to measure their brain activity while carrying out the task. The study concludes that the spatial memory task has the potential to be used as an fMRI diagnostic test of a suspected concussion victim and help to make the decision whether to return to activities.